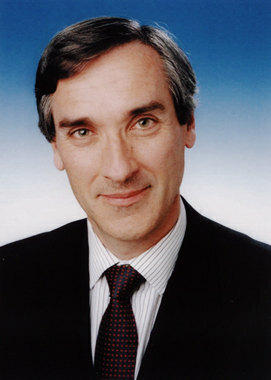 John Redwood was appointed Chairman of Concentric PLC, the Birmingham-based manufacturer of pumps and fans for diesel engines, in the autumn of 2003. The sitting Member of Parliament for Wokingham, John Redwood had a wide-ranging and successful business career before embarking on his political career. He was Chairman of Norcros, a quoted industrial conglomerate, and an Executive Director of NM Rothschilds. More recently he has been non-executive Chairman of Mabey Securities and Independent Non-Executive Director of BNB Resources PLC. John Redwood has written widely on business subjects, especially private finance and privatisation. He was one of the pioneers of the world-wide privatisation movement. John is a fellow of All Souls College, Oxford and has an MA and a DPhil from Oxford University. Concentric is a major supplier to the world's, truck and construction equipment industries with plants in the UK, USA and India. The group makes oil lubrication and water pumps for diesel engines, as well as fuel pumps, lubrication pumps for transmissions and compressors, Truflo cooling fans and associated equipment.